The University of Bologna (Italian: Alma Mater Studiorum Università di Bologna, UNIBO) is the oldest continually operating degree-granting university in Europe (or, more generally, the oldest outside the Muslim World), and the second largest university in Italy. The true date of its founding is uncertain, but believed by most accounts to have been 1088. 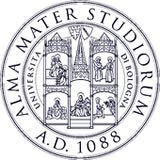 Since 2000, the University's motto has been Alma mater studiorum (Latin for "fostering mother of studies"). The university of Bologna received a charter from Frederick I Barbarossa in 1158, but in the 19th century, a committee of historians led by Giosuè Carducci traced the birth of the University back to 1088, making it arguably the longest-lived university in the West. The University of Bologna is historically notable for its teaching of canon and civil law, and has been ranked as one of the world's top 50 universities. The University counts about 100,000 students in its 23 faculties. It has branch centers in Reggio Emilia, Imola, Ravenna, Forlì, Cesena and Rimini and a branch center abroad in Buenos Aires. The institution that we today call the University began to take shape in Bologna at the end of the eleventh century, when masters of Grammar, Rhetoric and Logic began to devote themselves to the law. In the nineteenth century a committee of historians, led by Giosuè Carducci, attributed the birth of the University to the year 1088. 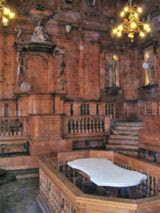 The first recorded scholars were Pepone and Irnerio, the latter of whom was defined by the former as "lucerna iuris". With the advice of four doctores thought to be their pupils, in 1158 Federico I promulgated the Constitutio Habita, in which the University was legally declared a place where research could develop independently from any other power. In the 14th Century, so-called "artists" - scholars of Medicine, Philosophy, Arithmetic, Astronomy, Logic, Rhetoric, and Grammar - began to collaborate with the school of jurists. In 1364, the teaching of Theology was instituted. Dante Alighieri, Francesco Petrarca, Guido Guinizelli, Cino da Pistoria, Cecco d'Ascoli, Re Enzo, Salimbene da Parma and Coluccio Salutati all studied in Bologna. In the 15th Century Greek and Hebrew studies were instituted, and in the 16th Century those of "natural magic", that is, experimental science. The philosopher Pietro Pomponazzi upheld the study of the laws of nature against the traditionalist position of Theology and Philosophy. A representative figure of this period was Ulisse Aldrovandi, whose contribution ranged from pharmacopoeia to the study of animals, fossils, and marvels of nature which he collected and classified. In the 16th Century Gaspare Tagliacozzi completed the first studies of plastic surgery. But the golden era of Bolognese Medicine coincided with the teachings of Marcello Malpighi in the 17th Century, employing the microscope for anatomical research. The University's fame had spread throughout Europe and it was a destination for many illustrious guests. Famous scholars and students included Pico della Mirandola and Leon Battista Alberti, who devoted themselves to canonical law. Nicolò Copernico began his astronomical observations while studying pontifical law. Paracelso, Raimundo de Pegñafort, Albrecht Dürer, St. Carlo Borromeo, Torquato Tasso and Carlo Goldoni all spent time at the University. With the Industrial Revolution in the 18th Century, the University promoted scientific and technological development. In this period came the studies of Luigi Galvani who, along with Alessandro Volta, Benjamin Franklin and Henry Cavendish, was one of the founders of modern electrotechnical studies. Following the establishment of the United Italian State came a period of great prosperity in which the figures of Giovanni Capellini, Giosuè Carducci, Giovanni Pascoli, Augusto Righi, Federigo Enriques, Giacomo Ciamician, and Augusto Murri stand out. In 1888 the eighth centennial of the University was celebrated, with a grand ceremony where all the universities of the world convened in Bologna to honour the mother of universities, representing their common roots and ideals of progress and tolerance. The ceremony became an international festival of studies. The University maintained its central position on the scene of global culture until the period between the two wars, when other countries came to the forefront in teaching and research. Bologna has thus been called upon to forge relationships with institutions in the most advanced countries to modernise and expand its activity. Among the many challenges which it has met with success, Bologna committed itself to the European dimension which has now led to adoption of the new university system. The primary objective of the Faculties of the University of Bologna is to define, organise and connect the academic activities of the degree courses. Corresponding to the defined scientific-disciplinary fields, the faculties are divided into one or more first level degree courses which are followed by specialised degree courses.